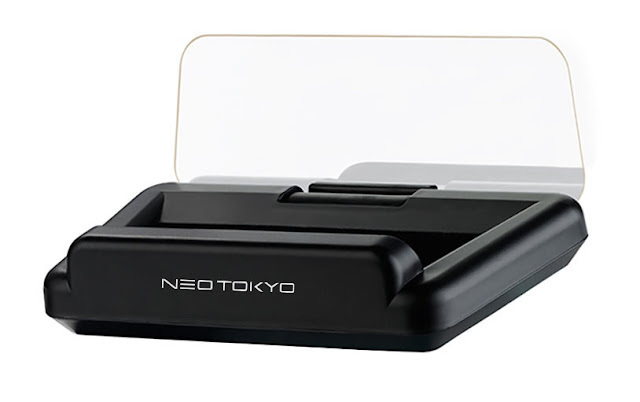 The automobile head-up display, "HUD NEOTOKYO OBD-X1" was launched on Kickstarter by NEOTOKYO in May 2018. With a projection screen standardly equipped, it is easily viewable even on the sunniest of days. An automobile head-up display (HUD) that projects and displays traffic information within the driver's field of vision. As it allows you to safely check the meter without ever having to take your eyes off the road, it is becoming ever more popular, largely amongst luxury car brands. It is possible to retrofit the "HUD NEOTOKYO OBD-X1" with this head-up display. We have created a product that, with a price in the hundred-dollar range, is considerably more affordable than the genuine products of expensive manufacturers, and much easier to see and use than the HUDs employed by simple smartphone apps. Various information including a speedometer, engine speed, a water pressure gauge, battery voltage, and a clock, are displayed within the driver's field of vision. Not only does this reduce the amount of times you have to take your eyes off the road, but it also changes your view into something reminiscent of near-future sci-fi! Compared to a normal front glass projection display type, the specialty screen is infinitely more easily viewable. The screen automatically adjusts its brightness to ensure the display remains beautiful both in the dark of night and on the sunniest days. Installation is simple, just attach the device to the OBD2 connector in your car, and fix it on your dashboard, No tools are required, and it can be done within one minute. Anyone can install it simply in any compatible car model. HUD NEOTOKYO's Kickstarter campaign will be held until June 14th 2018. The first 100 people will receive a 25% discount, making the purchase price around $135.